Wishbone Ash is going through a new lineup change. Muddy Manninen, who has been the guitarist with the band since 2004, has moved on to pursue other projects and is being replaced by Mark Abraham. 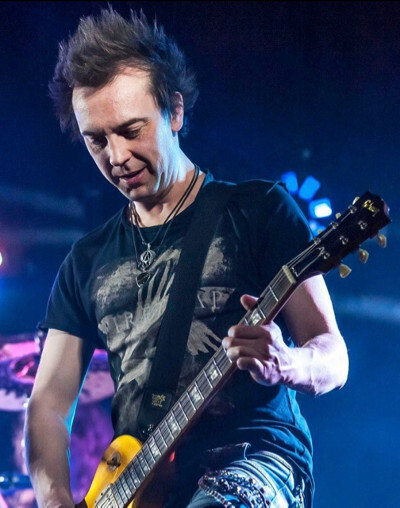 Mark is the owner of Vision Guitars in Castleford, Yorkshire, England and has played with such bands as Coyote, Steve Dawson's version of Saxon and Ron Thal (ex-Guns N' Roses). "It's been a very rewarding relationship with some great work being laid down, from Clan Destiny to Blue Horizon. We sincerely thank Muddy and wish him good luck on his solo project, currently well under way." Abraham is excited about joining Wishbone Ash after having watched them much of his life. "It was the sound of the twin lead guitars that first caught my attention. The sound was different to any other music I had heard up until that point.A couple of years after my first discovery of Wishbone Ash, my dad had a couple of VHS videos of the reunion gigs, and I would sit and watch them for hours. I was hooked!" Mark will play his first show with the band on June 9 at the Sweden Rock Festival.